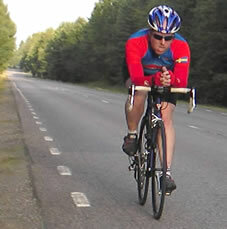 Within Swedish road cycling there are a number of different classes that you can seriously divide into youth, junior, elite / senior and veteran. In the youth class, cyclists who are 16 years of age or older may be placed in the classroom, for example, in several age classes eg. boys 11-12 years or girls 11-12 years. Usually the youth class is divided into age groups 11-12, 13-14 and 15-16. In the junior class, anyone who is between the ages of 17 and 18 can get in, this is the same for both ladies and gentlemen. In this class cyclists who are between 19-49 years old hold Elitlicens. For ladies, however, Master license holders may also start in elite class, since there is no Senior Class for Women. Senior classes are available only for men. Cyclists with Elit or Master license can start in Senior Class (there is no separate Senior License). Normally, gentlemen who are between 19-30 years old and not belonging to an elite team usually resign in the senior class. For ladies there is no senior class which means that ladies between 19-30 years can compete in either sports (see below) or elite class. In the veteran class, everyone who is 30 years old or older can get in. Within the veteran class you have several age groups, for example, H30 which includes all men who are 30 years of age or older and the D40 which includes all ladies who are 40 years of age or older. In addition to the classes described above, there are also sports classes and beginner classes. To compete in these classes, you must hold the cheaper Basic License, or solve a one-time license on-site. The basic license, however, costs only marginally more and applies throughout the year, so this is preferable. The beginner class includes cyclists between 8-10 years and the sports class includes anyone aged 15 or over. In championship, you can only ride the class in which you are licensed: Veteran Class for Master License Holders and Elite Class for Elit License Holders. Senior and Sport classes are therefore not in the championship.